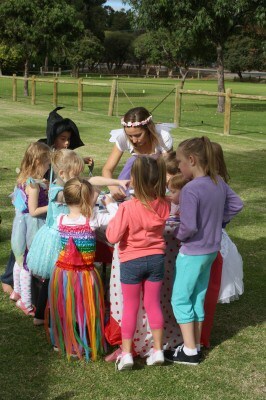 Kids Party Packages Perth - Fairy, Princess, Pirate, Clown, and more! 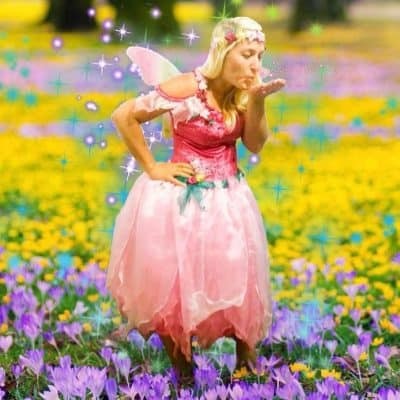 Book Krystal to entertain at your party! Sit back and relax! We bring everything needed for entertainment – yes EVERYTHING! All we need is space for the equipment and to be shown where you want us. This lets you spend time on other things during the busy day. 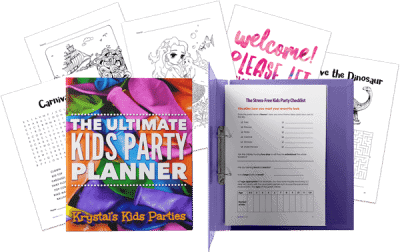 If you choose to invite additional children, each party package price will stay the same. The amount of games and the complexity of face painting and balloon twisting will be reduced as a result. I will discuss this with you on booking. I suggest that an additional entertainer is required for parties of over 20 children at an additional cost (which I can provide upon request). I will discuss this with you on booking if necessary. Your enquiry will not be booked in until I send you a confirmation email. I receive a number of inquiries each day, a confirmation email confirms that your booking is secure. Cash payment is taken at the end of the party as long as you are satisfied with our service. If you require a receipt, please inform me on booking. We will arrive 5 – 20 minutes before each party to set up, depending on which package you choose. 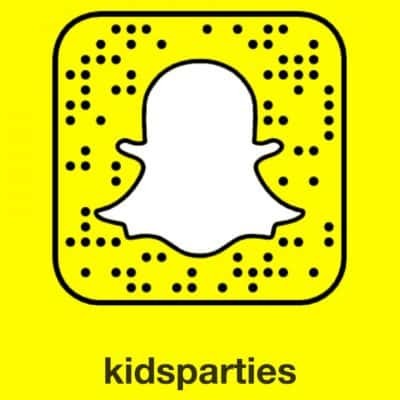 Krystal’s Kids Parties has several fantastic entertainers in her team. Find out more about them on the ‘Meet the Team’ page. Feel free to request your favourite entertainer when booking and we will do our best to accommodate this. Please understand that depending upon circumstances we cannot 100% guarantee you will get the entertainer you request due to the busy nature of this business. The earlier you book, the higher the chance you will get your requested entertainer. How long should you book for? Face painting is a fun and popular attraction for your party. But have you ever wondered how long you should book your face painter or balloon twister in for? 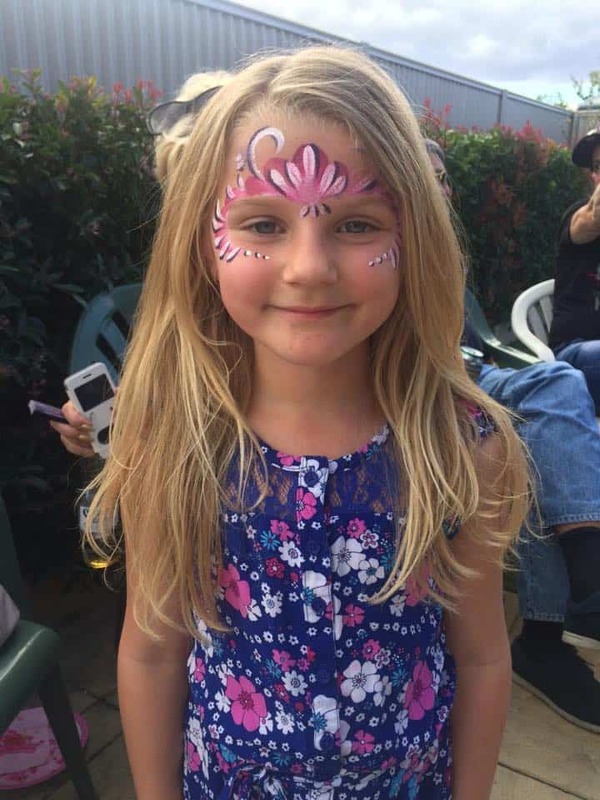 The length of time you will want your face painter to stay for depends on whether you would like your little guests to go home with a full face paint design or a cheek design. It also depends on the age group of your guests. Generally, children less than 3 years and older than 8 years prefer arm/ cheek designs. Children between 3 and 8 years of age generally love full face designs. Remember that this is based on my professional experience and that you know what suits your particular guests best. A professional face painter will take 4-5 minutes to paint a full face design. This means that you can fit 12-15 kids into each hour. Full face designs are elaborate and striking. Cheek designs will take from 1-2 minutes depending on the design, thus doubling the amount of children painted each hour. Cheek designs are quick, simple and smaller. The length of time you will want your balloon twister to stay for depends on whether you want your little guests to receive a simple or complex balloon design. 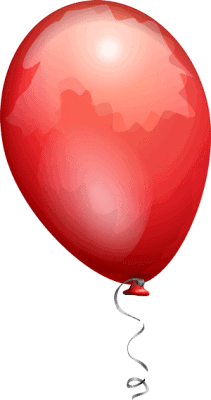 Just like face painting, balloon twisting can be simple and complex in its designs. Simple balloon twisting such as the typical sword and dog are 1-2 minute designs. More exciting designs can take 3-5 minutes and eye-catching complex designs that can take guests breath away can take up to 10 minutes each. Remember to think about your adult guests and factor in additional time if you think they would like to receive a face paint or balloon creation. You would be surprised how many adults love it more than the kids! To avoid long lines of bored children waiting to be face painted, ask your face painter to number each child at the beginning of the party. This allows all the guests to go and play until their number is called. Ensure your face painter uses professional grade, hypoallergenic face paints. These face paints can be easily removed with baby wipes, soap and baby oil (or even vegetable oil). Krystal’s Kids Parties ONLY uses professional grade face paints. 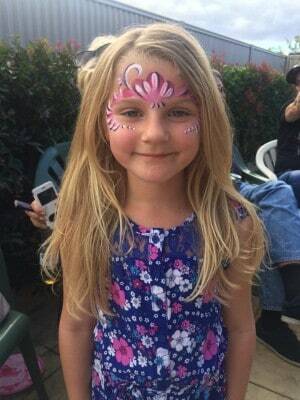 Before choosing your face painter ensure you have viewed their work. Not all face painters have the same skill level and experience. 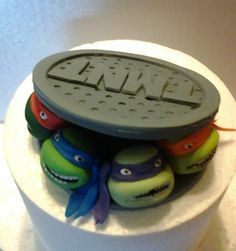 Make sure you are happy with what you see to avoid disappointment on the important day. And lastly, remember that you usually get what you pay for.